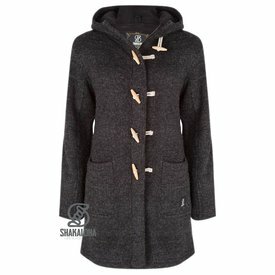 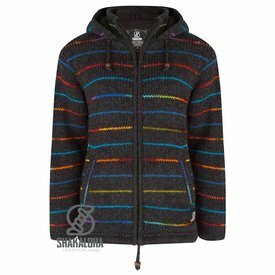 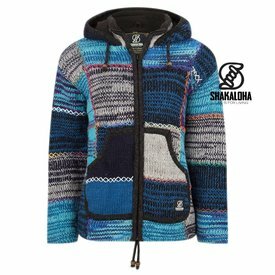 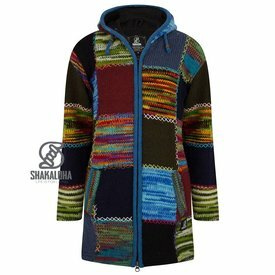 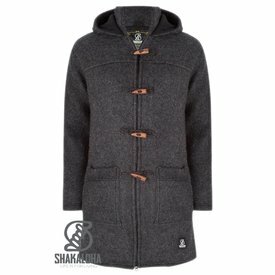 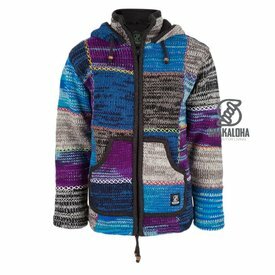 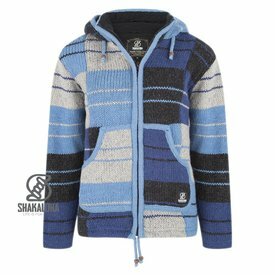 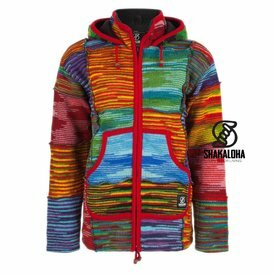 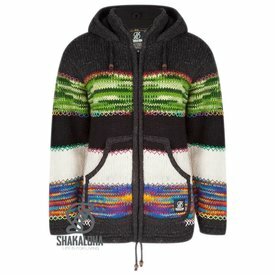 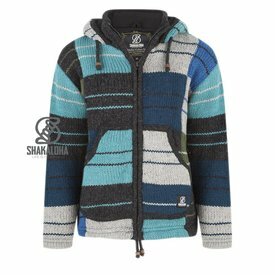 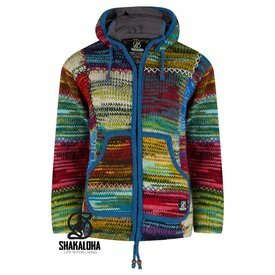 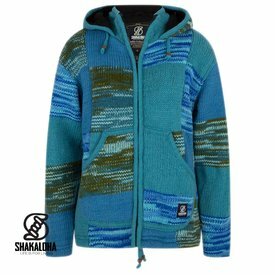 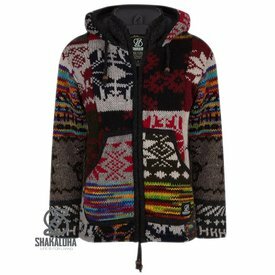 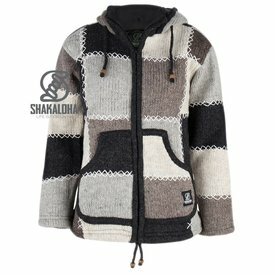 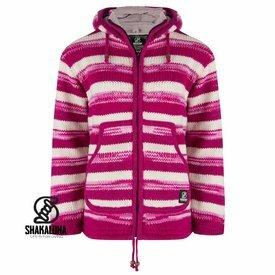 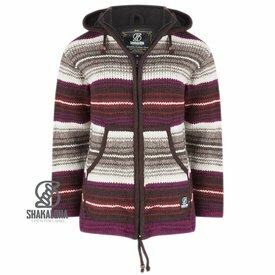 Women's Jackets Hooded hand knitted in Nepal. 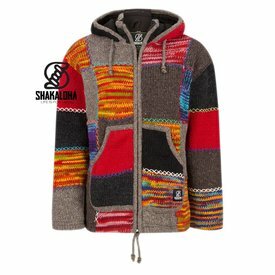 Black fleece-lined wool jacket with colored dots, with blue, green, yellow, orange and red little stabbing. Disco Pattern.